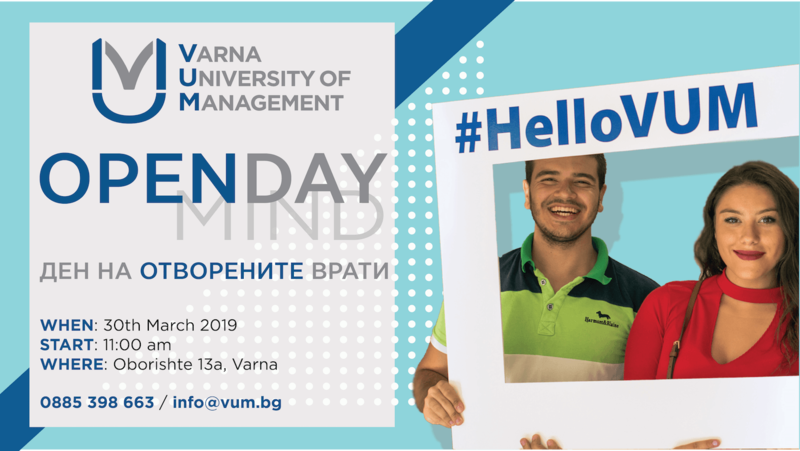 OPEN DAY at Varna University of Management: see for yourself what we can offer you! Visit our Varna campus and inform yourself on programs and majors offered at VUM, admission procedure and double degree opportunities. Meet our lecturers and ask our students anything you’d like to know. Find out more about student services and student internships in leading in their field international organizations, scholarships and financial conditions and even more… A culinary demonstration by students of Culinary Arts Institute at VUM is on the agenda, too. Looking forward to welcome you at Varna University of Management!